Chattanooga is a foodie’s dream city. No, I’m serious. 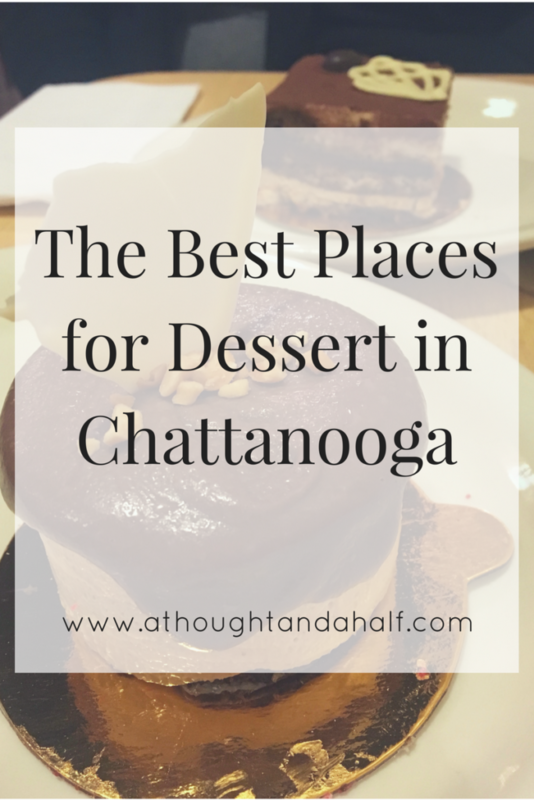 No matter what kind of food you’re thinking about, you can find it in Chattanooga. You can pretty much eat around the world in the Scenic City, in one day, if you wanted to. 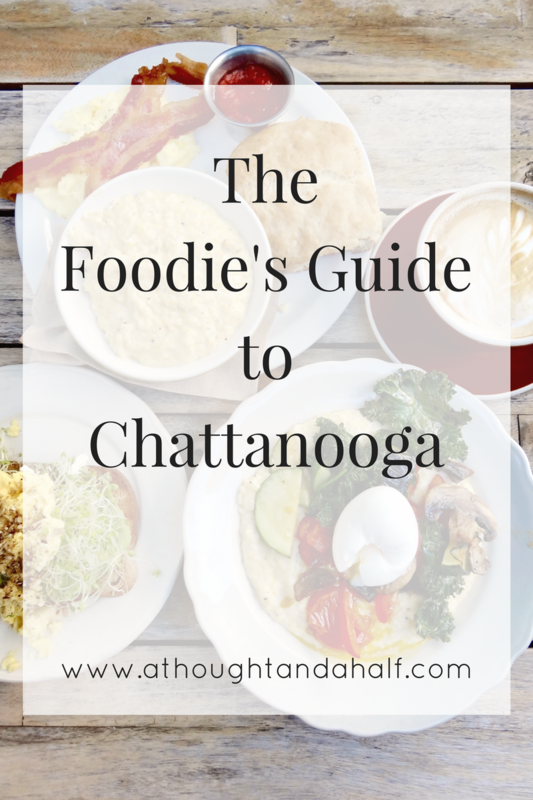 Welcome to the Foodie’s Guide to Chattanooga. If you’re new to Chattanooga, or if you’ve lived here for a while and are just now starting to explore a little deeper, the food scene can be a little overwhelming. With so many options—and new ones opening up regularly—where do you even start? I’m starting this post with a confession: I have an insatiable sweet tooth. It’s a blessing and a curse, and also probably why I bake almost every weekend. I also find baking oddly relaxing (is that weird?). But sometimes I just want to treat myself to something nice, that I probably can’t bake myself at home. Thank goodness there are some really great places for dessert in Chattanooga. As far as dessert goes, I’m not that picky, but I definitely have my favorites. If there’s chocolate, Nutella, strawberries, sprinkles and/or peanut butter in it, chances are I’ll be all about it. Last weekend, the rooftop of the Hunter Art Museum was filled with some of the best local food, beers from all corners of the country, and party-goers excited to partake in all of it. The, third-annual, 2017 edition of Handcrafted Wishes was an evening to remember. 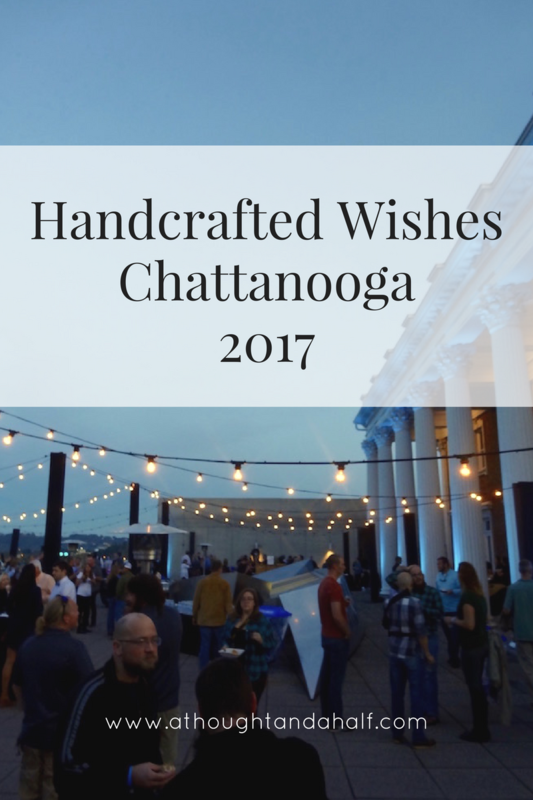 Handcrafted Wishes, organized and presented by the Hand Family Companies distribution, brings Chattanooga’s best eats and some of the country’s best brews to the Hunter Art Museum. It’s an opportunity to enjoy some favorite local cuisine and explore new eats and sips that you may not have on a regular basis. With more than 15 breweries and restaurants represented, attendees had plenty of options and variety to try throughout the night. Hand Family Companies, based in Clarksville, is one of the beverage distribution leaders for Tennessee and the southeast. They represent some of our favorite brands and bring them to Chattanooga. 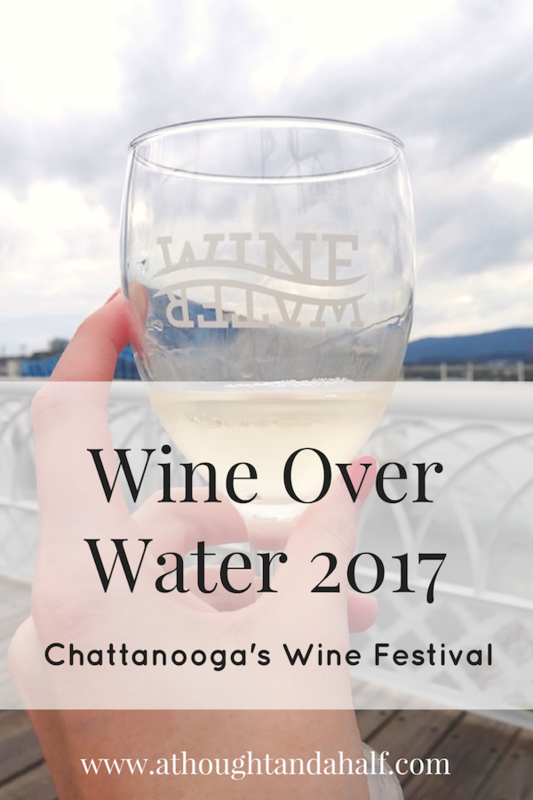 Wine Over Water is one of Chattanooga’s premier annual events. This massive wine-tasting brings more than 200 wines from nearly 100 wineries to the Walnut Street Bridge for attendees to sip on throughout the evening. It’s a wine aficionado’s dream, and also a great opportunity to explore wines you may or may not get on a regular basis. In addition to wine, 16 local restaurants came to the bridge, too, providing small plates for attendees to purchase and enjoy with their wines. Charcuterie and bread samples were also available, thanks to Publix and the local Bluff View Bakery. You can’t have wine without bread and cheese, after all. Sometimes, I’m just really in a mood for a cheeseburger. It’s not a common craving for me, but when I want a burger, I want a really good one. Luckily for me and other burger aficionados, I have plenty of options for where to get one in the Scenic City. 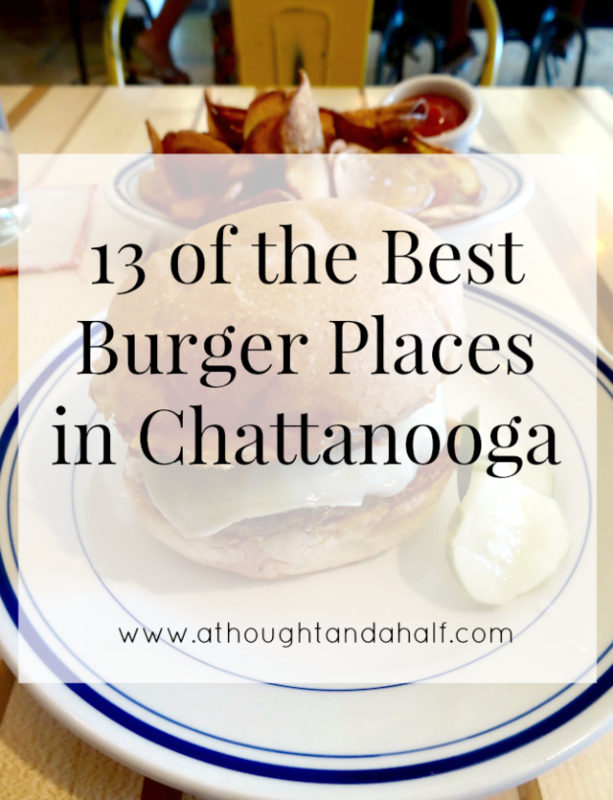 You’ll never run out of places to get a great burger in Chattanooga. Any true burger aficionado knows that, when that burger craving hits, it needs to be satisfied ASAP. 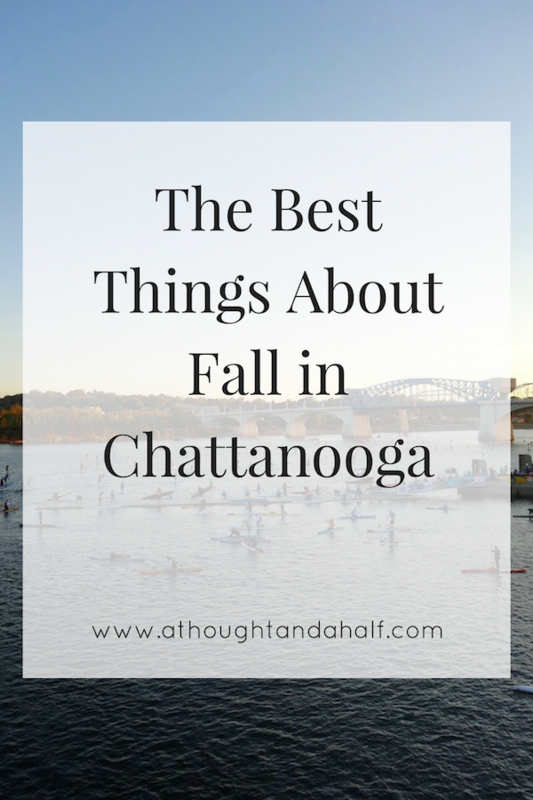 There is definitely no shortage of places in Chattanooga to make that happen. You can easily get your classic cheeseburger, but when you want to switch it up or try something new, any of the great burger spots in Chattanooga will have you covered.